Full/Queen Headboard Size, 63 5/8 x 4 5/8 x 48 3/8H. Optional (Not Included In The Price) Night Stand Size, 21 x 17 15/16 x 21 1/16H. Mirror Size, 26 3/4 x 40 3/4H. Double Dresser Size, 59 3/4 x 17 15/16 x 44 1/2H. Door Chest Size, 31 3/4 x 17 15/16 x 60 15/16H. Strong Construction. Easy To Assemble. IEM5968. Twin Headboard Size, 39x2x46H. Optional (Not Included In The Price) Twin Mates Beds Box With Drawers Size, 77x42x16H. Night Stand Size, 17x17x25H. 5-drawer Chest Size, 30x17x46H. Mirror size, 27x2x46H. Dresser Size, 48x17x29H. TV Cabinet In Beach Color Size, 58x17x53. Strong Construction. Easy To Assemble. IEM5728. Oak Finish Wooden Headboard. Available In Twin Size And In Full Size. Easy To Assemble. Wooden Twin Headboard. Beautiful Design That Feauters One Shelf To Place Books, Radio, Or Any Other Accesories. 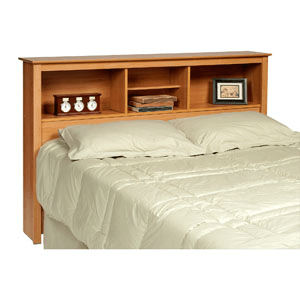 Virginia Collection 5-In-1 MateÃs Twin Bed with Storage Headboard. 100% Solid Brazilian Pine. Optional Trundle and Drawers available. Trundle Accepts Up to a Standard 8 In. Twin Mattress. Mattress, Trundle and Drawers are not included in the price. Easy to assemble. The Trundle can also be used for storage if Mattress is not needed. Available in Honey Pine and Mahogany Finish.Bed Size: 75-1/8 In. (L) x 39 In. (W) x 34-3/8 In.(H). Under bed Clearance: 11-7/8 In. Flat Panel Headboard 39 x 45H. Also Available (Not Included In The Price) 6 Drawer Dresser, 5 Drawer Chest, Nightstand and Mirror To Complete The Set. Details: Dresser: 48 x 17 x 30..Chest: 30 x 17 x 48..Nightstand: 20 x 17 x 22 and Mirror: 29 x 38. Each Piece Is Sold Separately or Sold as A 6-Pc Set. Strong Construction. Spindle Headboard in 2 Size; 39In. and 54In. Strong Construction. Available in Different Colors. Heavy Spindle Headboard. 3 Sizes Available: 39, 54 and 60. Strong Construction. Flat Slat Headboard in 3 Sizes; 39, 54 and 60. Different Colors Available. Strong Construction. Panel Headboard in 3 Sizes: 39, 54 and 60. Different Colors Available. Strong Construction. Double Rail Headboard Available in 3 Sizes; 39, 54 and 60. Strong Construction. Different Colors Available.